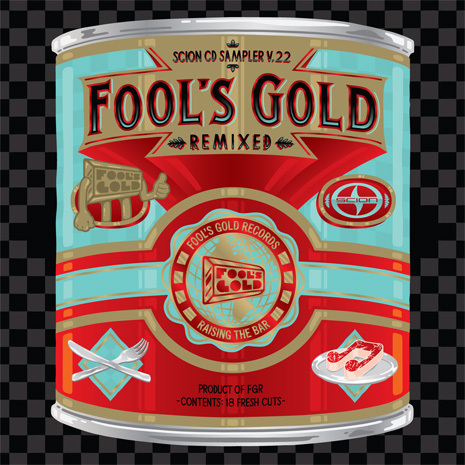 Fool’s Gold Remixed is a two-CD behemoth we released with the good people at Scion Audio/Visual. (Perhaps you snagged a free one at a open bar. Or a car dealership!) 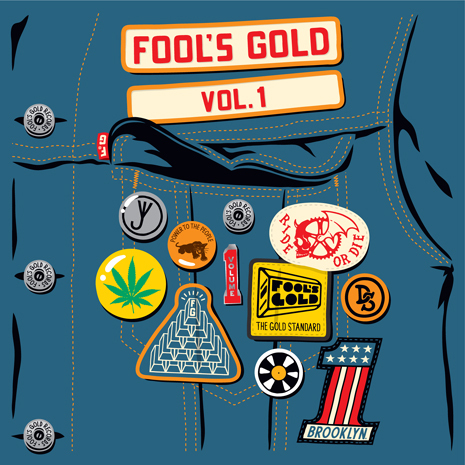 Disc One featured remixes of Fool’s Gold artists by everyone from Chromeo to Rusko, while Disc Two held a “24 Karat Hits” mix by FG co-founder Nick Catchdubs featuring all our biggest tracks to date. It was the end of ’08, there were a bunch! The limited vinyl pressing (featuring four of the comp’s biggest tunes) is all gone, as are those mythical freebie CDs, but you can still stream and/or download at a digital retailer near you. Pop art by Dust La Rock!